The Gryphon Trio has firmly established itself as one of the world’s preeminent piano trios, garnering acclaim and impressing international audiences with its highly refined, dynamic and memorable performances. With a repertoire that ranges from traditional to contemporary and from European classicism to modern-day multimedia, the Gryphons are committed to redefining chamber music for the 21st century. 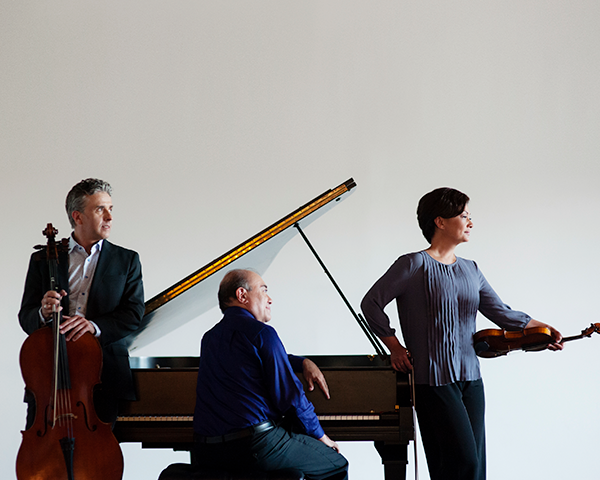 The 2017–18 season marks the Gryphon Trio’s 25th anniversary. Creative innovators with an appetite for discovery and new directions, the Gryphon Trio has commissioned over 75 new works and frequently collaborates on projects that push the boundaries of chamber music. The trio tours regularly throughout North America and Europe, and their 19 recordings are an encyclopedia of works for the genre. Honours include two JUNO Awards for Classical Album of the Year and the prestigious 2013 Walter Carsen Prize for Excellence in the Performing Arts from the Canada Council.